Thinking is a wonderful journey where you explore, discover, imagine and create the world around you. It’s not a static but a highly dynamic cognitive process influenced by various factors and circumstances that change over the time. Being able to master and guide your thinking process is an acquired skill that is a difference between a good or great thinker. Traditionally, analytical and creative thinking represent the ‘two’ sides of the spectrum, where thinking and learning are associated with remembering and understanding. Benjamin Bloom, an educational psychologist, identifies a wider spectrum of thinking involving analytical, critical and creative thinking in what he termed Bloom’s Taxonomy. 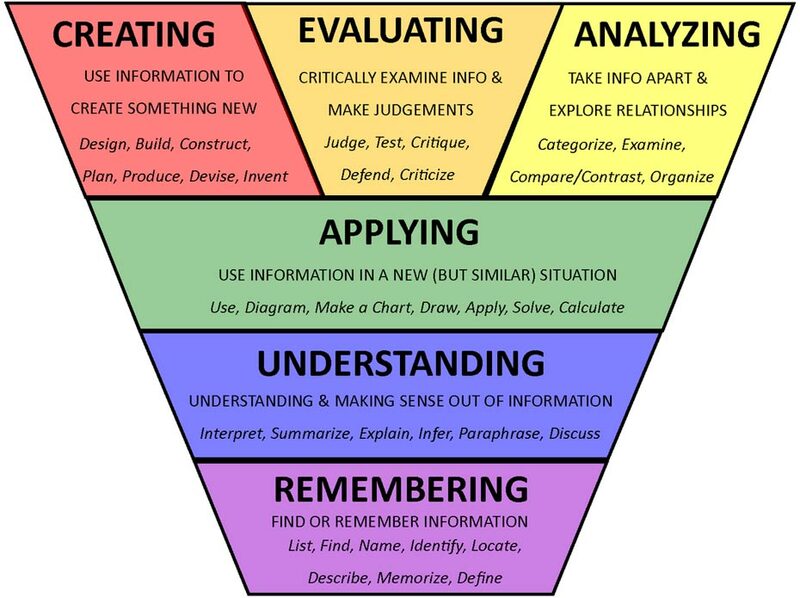 According to Revised Bloom’s Taxonomy, analytical and critical thinking are in fact an important part of the creative process. To understand this, let’s break down exactly what creative, critical and analytical thinking embodies. Creative thinking is generally associated with divergent or lateral thinking and generates multiple ideas and possible solutions. Critical thinking involves making judgments, asking questions and synthesising information. Analytical, which is generally associated with convergent or vertical thinking focuses on a logical sequence and finding a solution. While these three thinking styles are not mutually exclusive, they do complement each other at a certain point and depending on the situation. Your best ideas and solutions occur when all three are effectively mastered together! Here are 5 tips to kick-start your analytical, critical and creative thinking skills. In a nutshell, brainstorming is a technique when you generate as many ideas as possible. Here, the quantity is more important than quality. Once you have a set of ideas, you can later shortlist the one’s that are most suitable. If you do not like any ideas, you can always begin the brainstorming process again. For example, in the case of an online course, you can use brainstorming as a technique within an activity, to get your students to think creatively. For example, in a course about “Mediterranean Cuisine”, you can design an activity that requires students to brainstorm recipes that use garlic cloves and olive oil. A mind map is a visual conceptualisation of any topic and can be used to strengthen analytical thinking. It enables you to see all the little parts and all the existing or new connections from an outside perspective. Continuing with the online course example, mind mapping can be used to design an effective activity for a student studying English Vocabulary. An activity could be that students are asked to break down the word “Ecology” and upload their own mind map related to “Ecology”. 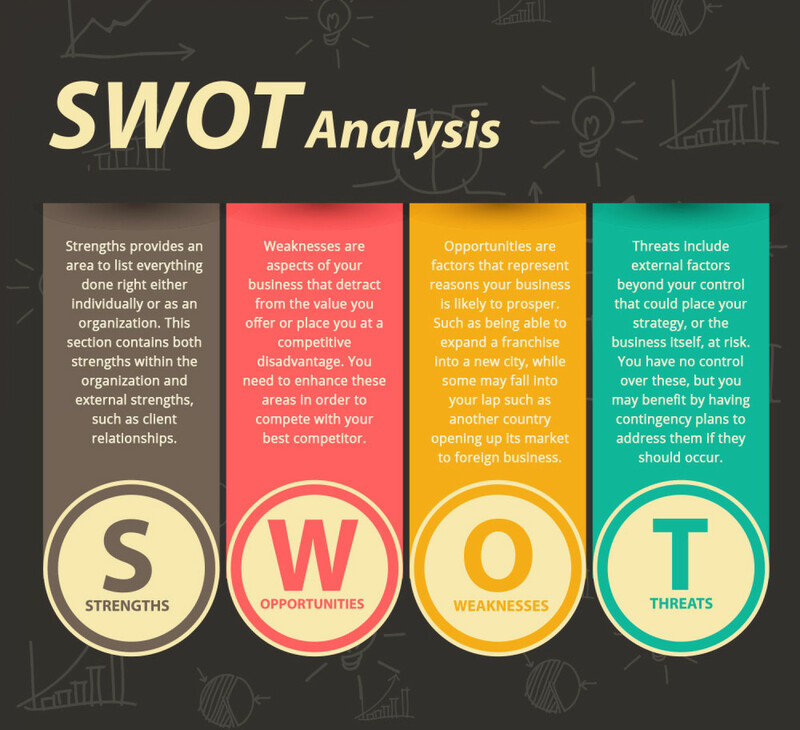 SWOT analysis is an acronym for Strengths, Weaknesses, Opportunities, Threats. This method helps you analyse the problem from different perspectives and search for different alternatives. As a teacher for an online course, SWOT analysis can be an effective technique for both yourself and your students. While designing your course, you might use SWOT Analysis at the very beginning to analyse your future course’s strengths, weaknesses, opportunities and threats. You can do so in relation to the university or personal future work opportunities. This can also be used with students, for instance, in a course about “Project Management” you can ask students to choose a business venture and create a business plan using a SWOT analysis. As a course designer, you may reach a point when you need to solve a particular problem, such as lack of student interaction in your course. So you can apply the 6 steps of CPS and find the solution(s) (Some solutions for increasing student interaction can be found here). This technique was developed by Edward De Bono for the purpose of thinking about problems from different perspectives. The original idea involved members of a team sitting together and switching from one coloured hat to another to switch from one problem-solving technique to another. If you do not have a team, this technique can still be used effectively by yourself. Within an online course, you can encourage students to create new ideas, products or improve existing product by using blue, green and red hats. The example can be to improve upon anything, from the design of a toothbrush to a car engine. These are just some ways to help develop deeper analytical and creative thinking. Like all things, when practised on a regular basis these skills will gradually shift from a conscious effort to a natural process! I have a drive for life; I have a passion for constant learning and teaching, I have hopes and dreams for the future. And besides that, I have a creative mind! PROFESSIONAL PATHWAY I completed my studies at Comenius University in Slovakia where I received Master and PaedDr Degree in Education. My focus was on an education of children and adults with additional behavioural needs and on supporting their involvement in the educational programs and processes. During my studies, I started to work as an Assistant Social Worker for European Refugee Fund. Our primary goal was to assist asylum seekers with access to education, medical and social services to significantly improve the quality of their lives. My career path continued when I started working as a Kindergarten Teacher at International Kindergarten and, afterward, at Cambridge International School. In 2011, I welcomed the opportunity to become an Educational and Branch Coordinator at Cambridge International School. I directly contributed to developing programs focused on innovations in education, implementing active learning methods and strategies into a traditional educational environment and providing initial and ongoing training for new employees. Currently, I'm working as a Learning Designer at OpenLearning in Sydney. PERSONAL DRIVE AND PASSION I firmly believe that everyone can reach their potential in learning and in achieving life goals. Each student, no matter the age, has capabilities and own unique strengths. I was always driven to succeed, to try and to risk, to improve and to create. And as my friends say, I'm also stubborn and willing to be part of fair play. I also want my students to take their opportunities, to follow their dreams and ambitions and to do what they believe. I support them in developing creative minds and independent thinking while being the great team players. I have many personal and professional dreams and hopes. But most importantly, I wish to be part of a society where people are influential individuals balanced by being exceptional team players. And of course, to be part of a process of creating this community.